Summer in Telluride is here and we are thrilled to open the 2018 season with the newly completed 55,000-square-foot golf practice facility. The new driving range comprises three tiered tee boxes, each 100-yards long, and the new chipping area and putting green add another 7,900-squarefeet of practice area. With the completion of the facility there has never been a better time to improve your game. For the ladies, we have golf camps with golf pro Carol Price scheduled for June 25 and July 23. Weekly Platinum member clinics with our acclaimed teaching staff will also be taking place on Saturday and Sunday mornings, and as always our professional staff will be available to provide private instruction should you wish to book a lesson. The winter of 2017-2018 will be remembered for lots of brilliant bluebird days here in Telluride. The miraculous work of Telski’s mountain operations team provided us with 124 days of great skiing. Lots of fun and cheer was enjoyed by all at the club’s 8th Annual St. Patrick’s Day Snowflake Golf Classic. Hats off to Brad McNeill, Shasheen Shah and their team who not only took home first place in the tournament, but were also voted best dressed! Congratulations should also go out to those who competed in “Chuck’s Chili Challenge.” The competition saw a record number of entries and arguably some of the most delicious chili ever. Chili Cookoff winners included Alex Laney, Ruth Ann Wiesner and Kris Bartosiak. We hope you will join us for the annual Kickoff Party on Tuesday, June 19 where you can catch up with your fellow members while enjoying lively music, delectable food & drink, and games & activities suitable for the whole family. The summer fun continues at the club on the first day of the Member Guest Tournament when all members are invited to join us as we toast to the completion of the new practice facility. The celebration, on July 10, will feature a golf trick shot exhibition on the driving range. This one hour demonstration combines power, accuracy, timing, and balance that will dazzle audiences of all ages. 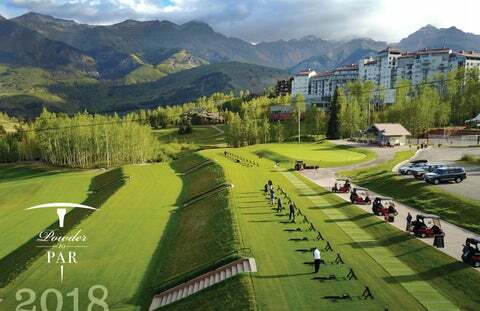 So—mark your calendars—there are lots of good times ahead this summer at the Telluride Ski & Golf Club. Please feel free to contact the club directly with any questions or requests. 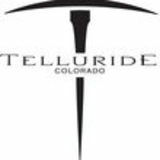 All the club staff are eager to welcome you back for another great summer season in Telluride. Complimentary event planning for members with a focus on retreats, off-sites, gatherings and conferences. Unwind at The Spa this off-season! The Spa at the Peaks Resort will remain open through the fall off-season seven days a week. A selection of complimentary fitness classes will be available and members may book spa treatments and salon services.